Hey there, stampers! September's issue of your favourite magazine hits the shops this Friday, 1st August, and as usual we have a dazzling array of different projects to inspire you. Put empty boxes to good use with this month's amazing Masterclass on Corrugated Cardboard! 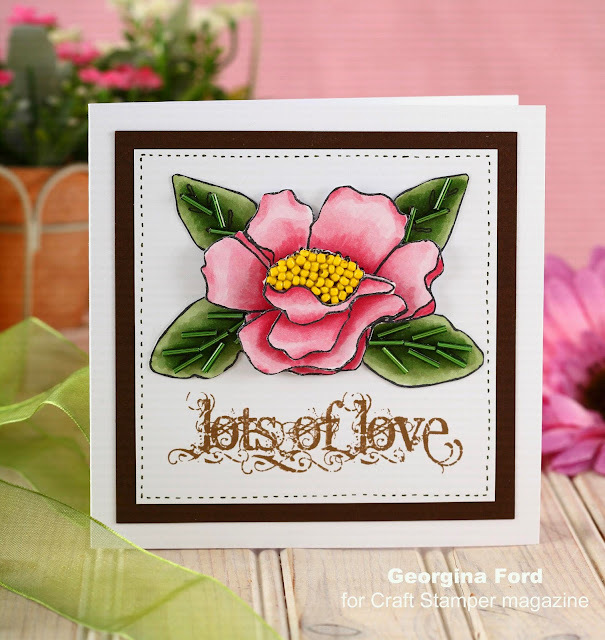 Design Team member Chris Dark reviews her favourite stamping product and tells us what she loves most about embossing ink and some exciting ways of using it! 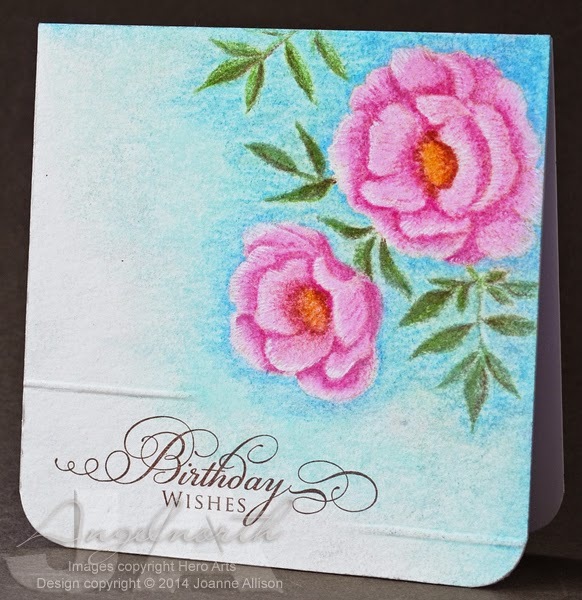 Heat Embossing with embossing ink was one of the first techniques I came across when I started paper crafting, there’s something about watching embossing powder melt on top of an image stamped with embossing ink that’s magical. The formulation of embossing ink is designed to make it sticky and slow drying in order to catch and hold onto embossing powder prior to heating but there are lots of ways of using embossing ink that make it a foundation item for an ink collection. 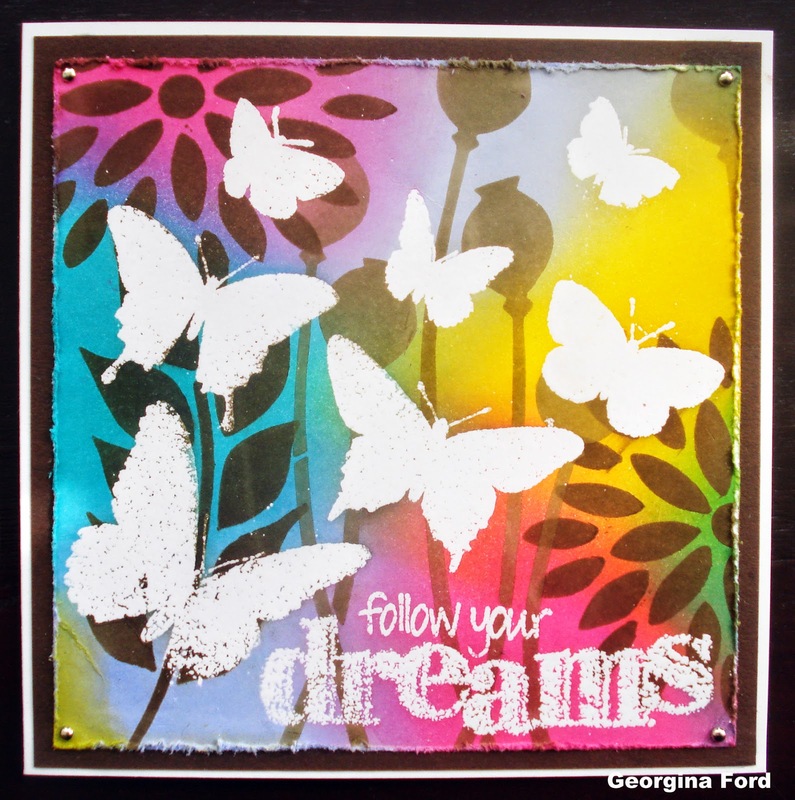 Have you tried stamping with embossing ink and then dusting over mica powder, chalks or pastels? These products are great for using over both light and dark card and give a lovely rich look to projects. 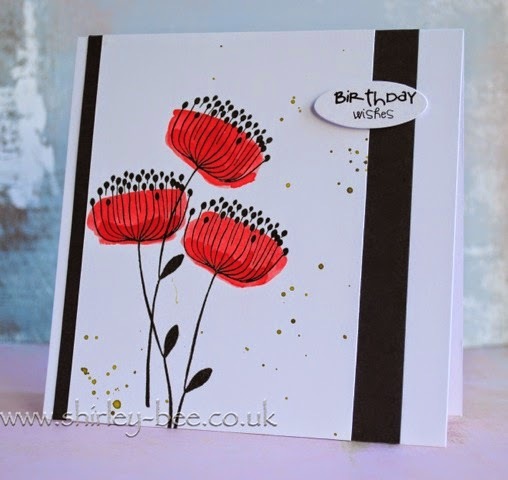 Self colour stamping with embossing ink for subtle interest is great for backgrounds (I’ve found that repeat patterns work well) and on a mid to dark tone of card you get an elegant finish. Add an embossing folder and brayer into the mix and there’s another interesting way to put pattern onto card with embossing ink. 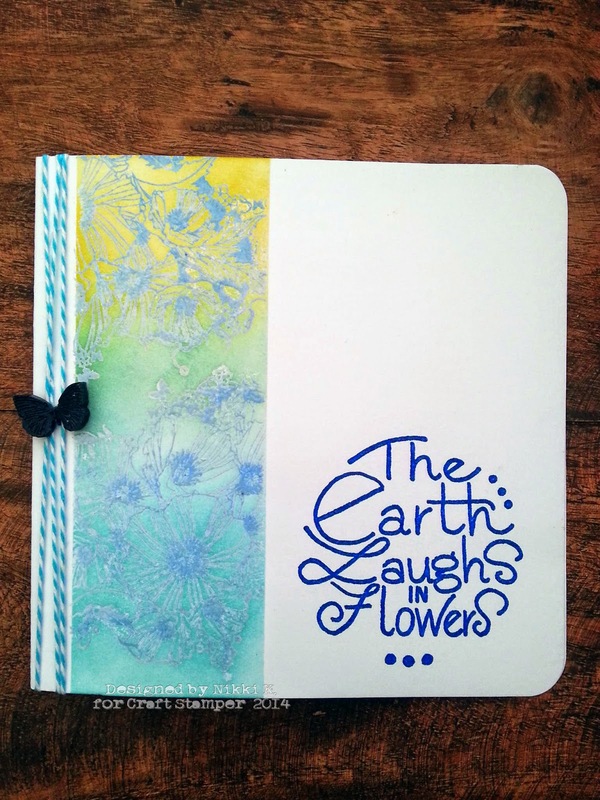 Use the inked brayer to transfer the embossing ink onto the flat side of an embossing folder and then add coloured ink, mica powder or pastel to highlight the pattern. Embossing ink also works brilliantly as a resist, as well as being an aide for stamping with rubber stamps into hot melted ultra thick embossing powder. The embossing ink acts as a release agent for the stamp once the ultra thick has cooled allowing the stamp to be easily removed. For my card I initially created a pattern using IndioBlu stamps on black card using the embossing ink to stamp. When the stamping was complete I brushed on Ranger Perfect Pearls powders in cream, gold and blue and dusted off the excess with a tissue to leave a lovely shimmery floral pattern of flowers and leaves on my card. I repeated the process onto a white card blank this time only using the gold powder. Then I assembled the card and embellished with gold cord, dots and lines of relief paste to the centres of the flowers and edges of the leaves. 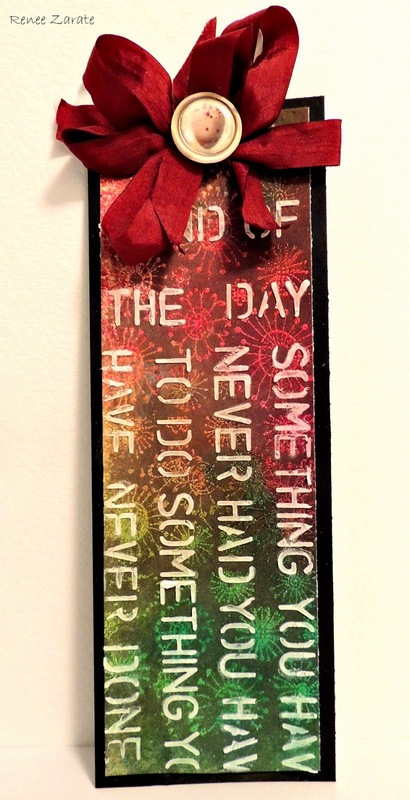 I only used half of the patterned black card that I created so I had some leftover to make a tag. Above I’ve shown how the stamping looks after applying the mica powder and before cutting my piece for the card. I love the rich effect achieved with this technique which is an old one, but one that gives very pleasing results. 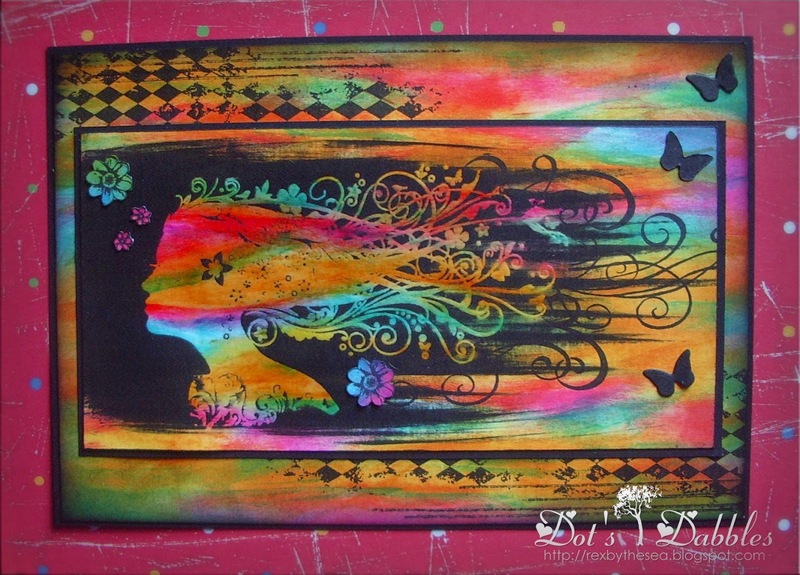 Thanks for looking in at the Craft Stamper blog and have creative day. 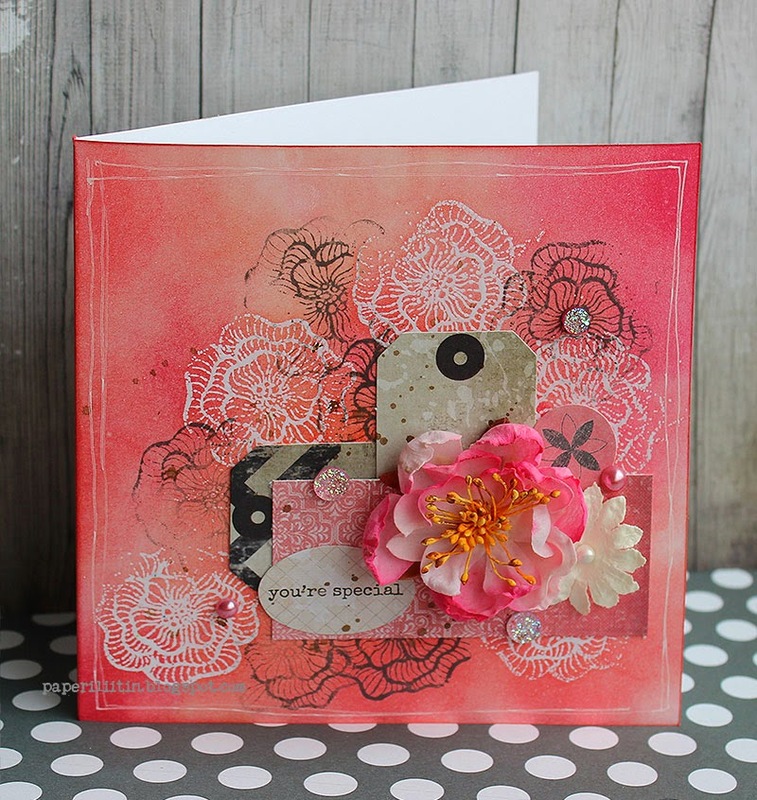 Thank you so much to all those who played along with our July challenge - Embossing Powder Resist! The DT were thrilled at the number of entries, and had a fabulous time looking at all of your stunning work.Who knew such a classic technique could produce such wonderful projects? We loved the vibrant colours, and how the watercolours have been used to such great effect! A huge THANK YOU to all those of you that took part in the Embossing Resist challenge! Don't forget, Take It, Make It challenges are now monthly! The first Friday of every month will see the start of the next challenge.... so check back here next Friday, 1st August to see which technique is next! We've had a little break but we're back with the next in our regular series introducing some of the designers who contribute regularly to Craft Stamper - welcome! 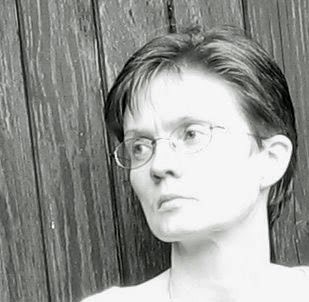 Today, I have the slightly surreal task of interviewing... myself! I’m Joanne and I'm camera-shy so this is one of the few photos of me in existence! I've been contributing to Craft Stamper for about three years now and really enjoy the variety in the magazine - I learn lots and enjoy the different styles my fellow designers have to offer. Crafting has been part of my life for as long as I can remember; both my parents are creative and their encouraging attitude when I was little probably contributed a lot to my tendency to just have a go and see what happens when faced with new tools and products. If something went wrong, my mum always said "Can you make a feature of it?" which had the effect of turning mistakes into creative opportunities! Favourite project #1: I think of myself as a stamper rather than necessarily as a papercrafter, partly because I love to use my stamps to make things other than cards. 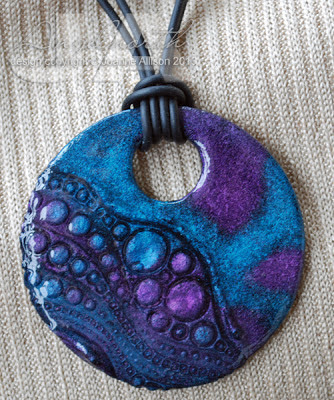 This pendant was made for a Craft Stamper blog hop to kick off 2013 and is based on an article I wrote for the December 2012 issue. It's a chipboard base with UTEE and Perfect Pearls and I still wear it! Q: Do you have a signature style or favourite technique? A: I always find this hard to answer because I don't think I have a particular style and yet other people tell me they recognise my makes. My mum looks through the pages of Craft Stamper and almost always says "That's Joanne's project" before she's looked at the designer's name! I do like colouring and I tend to err towards fairly classic images but I'm what I believe is known as an "equal opportunities" stamper - I like a bit of everything! Favourite project #2: I have very little drawing talent and find one of the beauties of stamping is that you can get around that limitation! These pretty vintage roses look lovely stamped and coloured in the usual way but here I decided to try out some "borderless" colouring for a slightly more arty look that's soft and feminine. Q: Where do you look for inspiration before you start on a project? A: I usually start with a particular stamp I want to use or perhaps a combination of colours I find particularly appealing. For cards I find especially difficult (usually kids' birthday cards!) I usually turn to a challenge or two for a kickstart. I often find I'm more creative if I have limitations in place and for me a challenge can often play that "limiting" role as it provides a focus. Favourite project #3: I don't often do "grungy" but this was great fun with the combination of the delicate feather images, a home-made stencil and some inky spray and modelling paste - a slightly prettier form of grunge, I guess. It made a change not to be colouring in as well! Thanks for joining me, if you'd like to see more detail on any of the featured projects, the links will take you straight there. If you'd like a general browse with a cuppa, you'll find my blog here (the cuppas are virtual I'm afraid unless you bring your own!). to all those who applied to be a part of the Craft Stamper Blog Challenge Design Team! It took a very long time to look at all your fabulous art, and to see all the wonderful things you create on your blogs....you are all a very talented bunch! The task was really hard, but (in the words of Simon Cowell! ).....we have come to a decision. 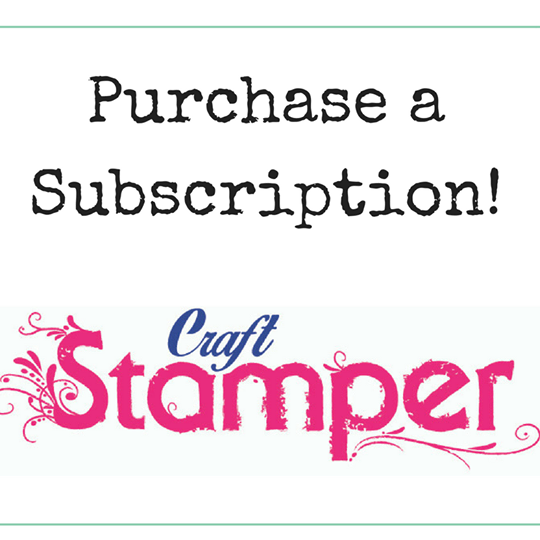 and an even bigger WELCOME to those new to the Craft Stamper family! I will be in touch in a couple of hours via email to let all successful applicants know where we go from here, so keep an eye on those inboxes! Thank you to everyone who made it such a hard decision, we are constantly amazed at the sheer numbers of very talented stampers out there! We look forward to seeing more of your work in our future challenges! Hi! It's Georgina Ford. My blog post today is a follow-on from my article, Sew Sweet, in the current (August) edition of Craft Stamper magazine. For both my cards in the magazine I have used sewing and thread to attach the beads. But if you aren't keen on sewing or want a quicker result then you can use glue to attach the beads. 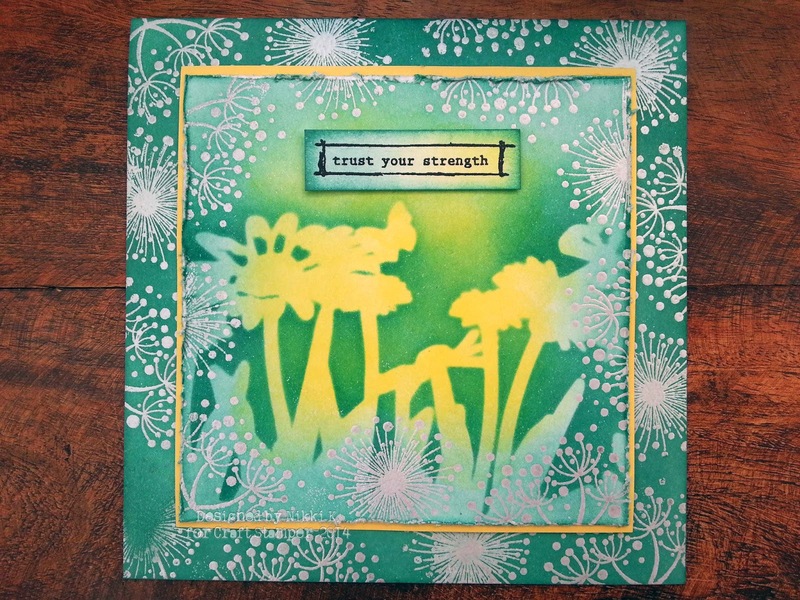 I have made a card again using the beautiful Flower Frame 1 rubber stamp by Catherine Scanlon Designs. I have attached the beads with Cosmic Shimmer Acrylic Glue. Cut squares of brown card 10.5x10.5cm and white card 9.5x9.5cm and attached them to an 11.9x11.9cm card blank. Stamp the sentiment using Walnut Stain Distress ink pad. The sentiment stamp I used was from Grungy Greetings # 1 stamp set by The Artistic Stamper. Next stamped out four leaves and the large flower four times using a Tuxedo Black Memento ink pad onto smooth white card. Colour the stamped images with Copics, then cut out all the pieces. Attach the leaves flat onto the card. Add the flower in sections with foam pads. As a base use a whole flower head. Then add petals and the centre separately as layers for extra dimension. Attach the beads as shown below. Add the glue directly to the centre of the flower and then add the yellow seed beads. Add the glue to the bugle beads then add to the leaves. To finish draw the faux stitching around the edge as show in the main photos above. First look at what coloured beads you already have and then colour the flowers and leaves to match. In our August issue our designers had the chance to get creative with these lovely, versatile sentiment stamps from Visible Image. 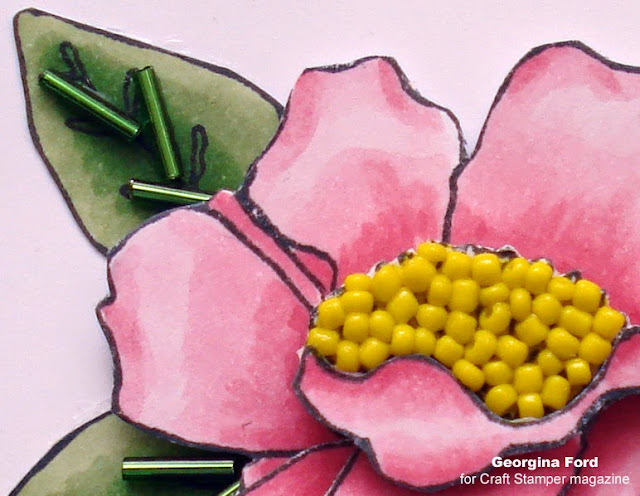 This stamp set is perfect to brighten up someone's day and the flower is separated into flower-head and stem to make it even more adaptable for your own designs. We gave one lucky reader the chance to play along with this month's stamping contrasts and here are the results. 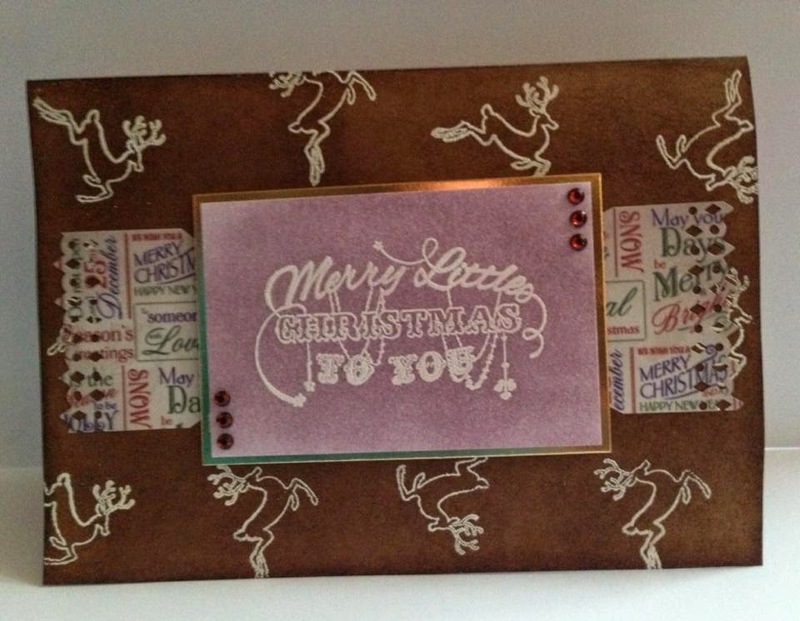 We love the original way in which Hellen Pearce has used this set! 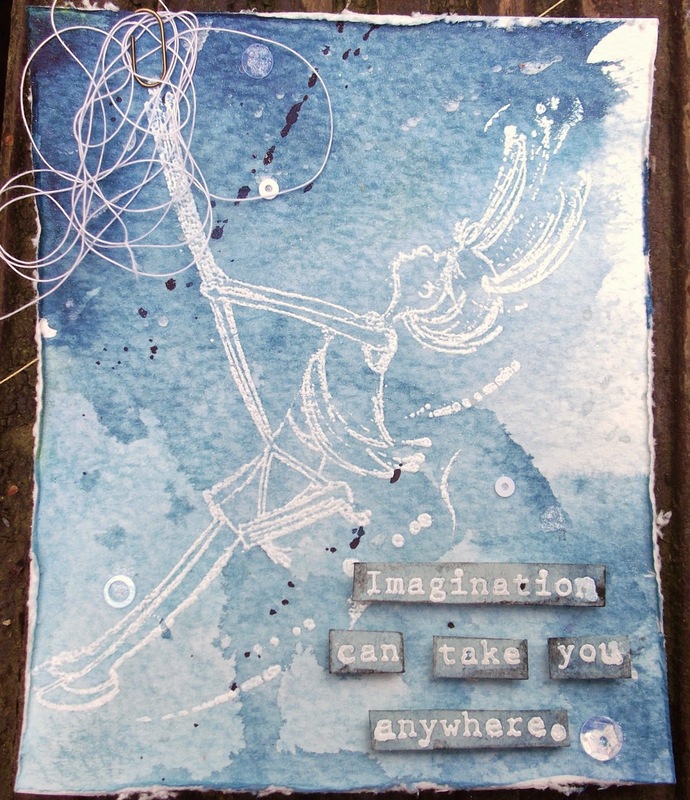 STAMPS: Visible Image – Thinking of You set. INKS: Adirondack; VersaFine - Black. 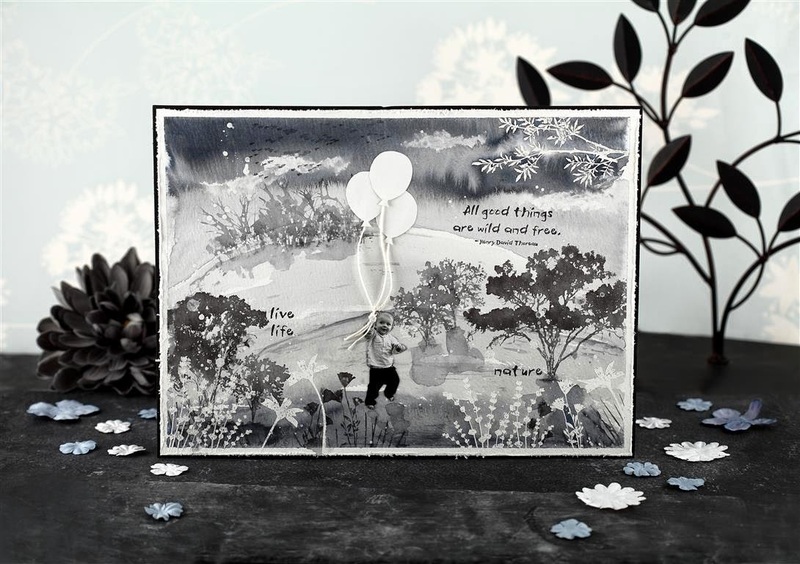 OTHER: Memory Box Dies – Butterfly Vine and Kensington Border; DecoArt Glamour Dust; cardstock – black, white, pale blue, silver. I felt that the sentiment stamp needed an understated background to ensure it was the main focus. I played around with a few techniques but in the end chose this one made by marbling ink and water as it gives a ‘floaty’ feel which I feel suits the sentiment’s reference to ‘skies’. I continued with this theme using silver card to create a ‘silver lining’. 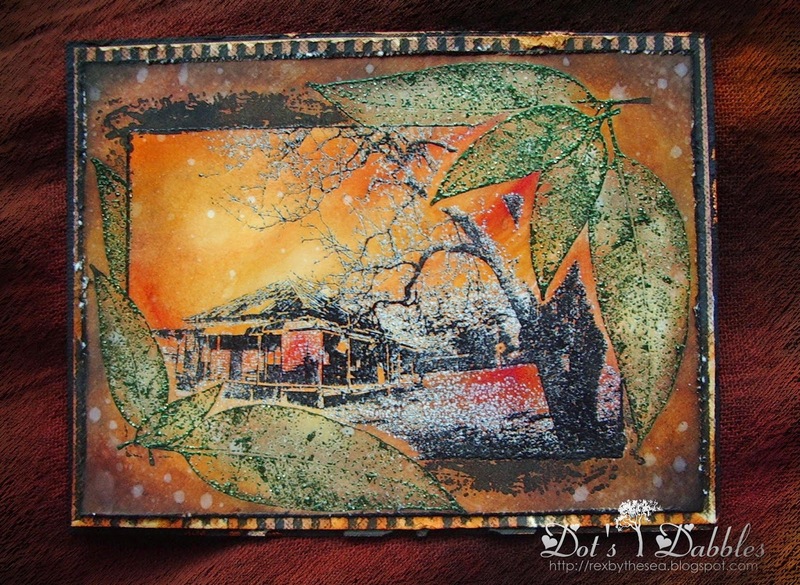 I stamped onto the dried background using black ink and arranged the matted and layered pieces onto a card base. I also added some die cut butterflies because when I watch butterflies in the garden they make me smile, and I would use these stamps for a card to cheer somebody up. My tag was made to compliment the card. I used the same techniques but with a few different butterflies and a sprinkle of glitter. 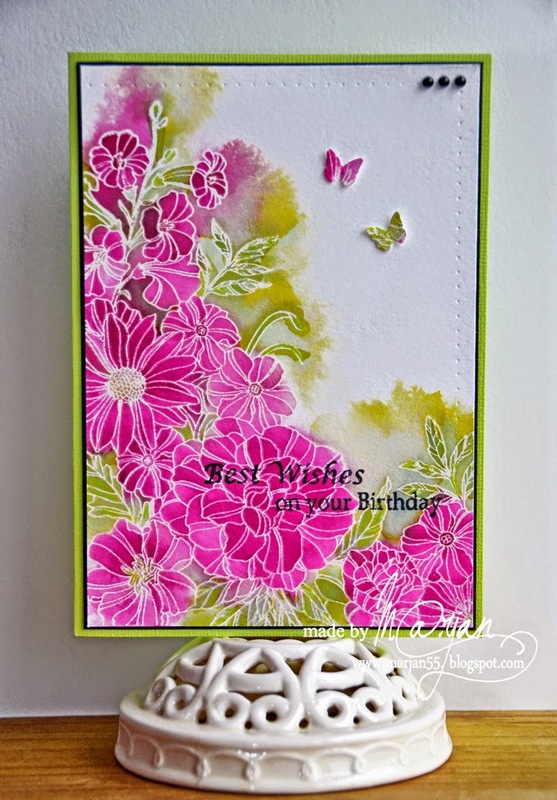 All the butterflies used on both the card and tag came from border dies which I cut up – I always try to buy products that are versatile and good value for money! Thank you Hellen for these beautiful makes – visit Hellen's blog to see more of her work. If you haven't seen the article in our August issue, then grab a copy and get even more fabulous inspiration from Kim Bacon, Chris Dark, Chrissie Stokes and Joanne Allison! Available to buy from WHSmith, many craft shops or with free P&P for a limited time from our shop! Also available as a digital download here. Visible Image Thinking of You set costs £8.99. To purchase this or to see other stamps from Visible Image visit www.visibleimage.co.uk. We are looking for a new DT for our Take It, Make It Blog challenge! The brand new July Challenge! We loved all your bleached blocked entries last month, we were thrilled to see so many! We can't wait to see all the projects featuring this months theme! 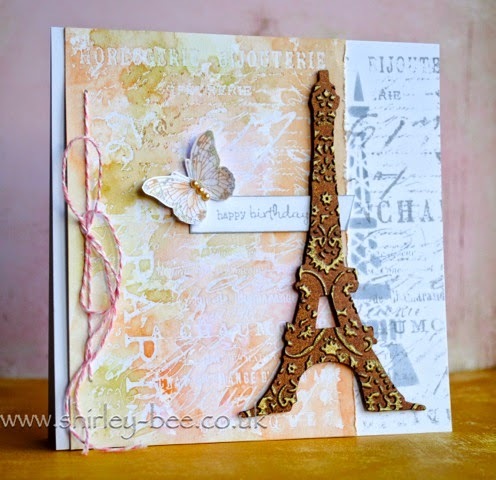 For the July challenge, we are delighted to be sponsored by WOW Embossing Powder! WOW Embossing Powders are UK suppliers of a truly massive selection of embossing powders from fine detail through to ultra thick, from metallics to pearlescents and fluorescents! WOW also manufacture a fabulous selection of silicone moulds, perfect for creating 3D embellishments. The prize for the July challenge is a set of the latest, brand new embossing glitters, a mouthwatering range of colours! You will receive (from left to right): Blue Topaz, Mint Mojito, Orange Fizz, Calypso, Raspberry Coulis and Frozen Berries.... Don't they sound delicious! So, to recap....Six gorgeous WOW Embossing Glitters, Publication AND a Guest DT spot? Sounds good to me! Anna-Karin Evaldsson has a wonderful project in the August issue, a fabulous card featuring (amongst other things!) an Embossing Resist technique. Simply stamp an image and then emboss it. Apply ink over the top, and you will see the embossing will resist the ink.... the embossing resist technique: easy peasy! 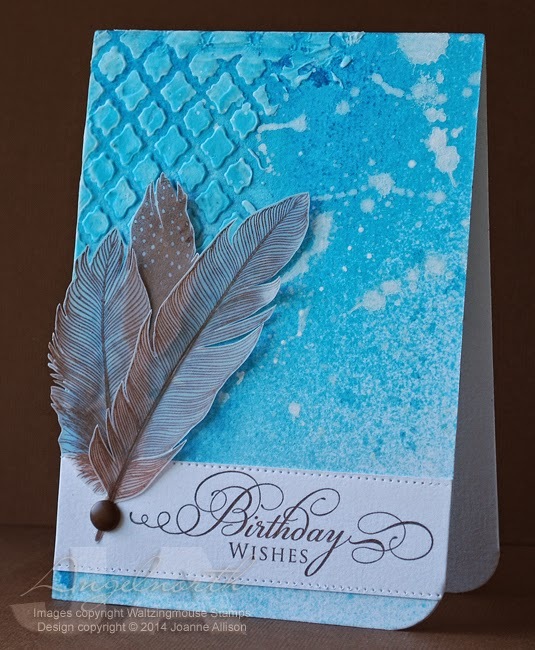 Along with some of the regular Craft Stamper DT, the Take It , Make It DT have created some fabulous eye candy using the embossing resist technique. pssst...... have you heard? 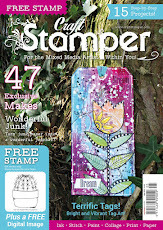 Craft Stamper are looking to recruit new DT members for the Take It, Make It blog challenge! The DT call closes on July 14th, and all the details can be found HERE! Go on... you know you want to! All entries must feature the Embossing Powder Resist technique. The August 2014 challenge will be announced here on Friday August 1st 2014, at 9am. Hi there and Happy Thursday! 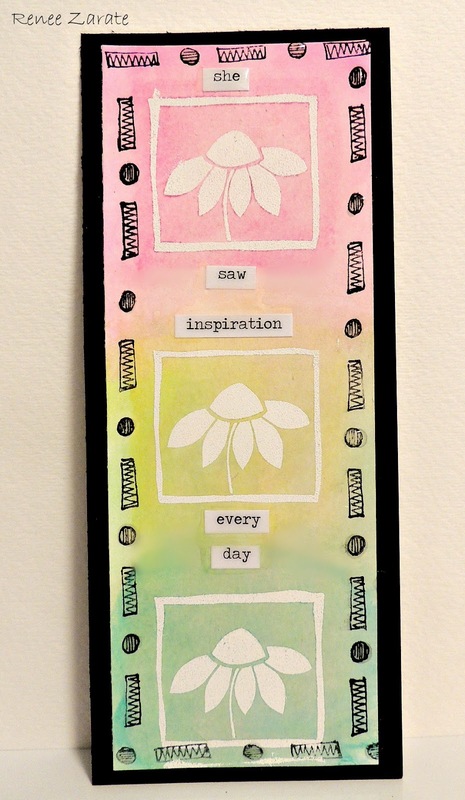 So it's my time of the month to post here on Craft Stamper Magazine Blog, every first Thursday I'll be sharing a card taking an idea from my article that month. This month I showed a technique using heat embossing, inking and then taking the embossing off to create a matt, flat surface to then stamp onto. In the article it was very subtle but to today the card is very vibrant so you can see it works from a lot of different styles. *Stamp the paisleys from Wplus9 'Paisley Patterns' in Versa Mark and heat emboss using a clear powder. *Ink the card base using Distress Ink and a blending tool (Picked Raspberry, Peacock Feathers and Spiced Marmalade). *Using the technique shown in the July 2012 Issue 'Emboss On, Emboss Off' remove the clear embossing powder from your project. *Stamp the sentiment from Winnie & Walter 'The Big, The Bold and You' and cover with glossy accents. By using this technique you can add lots of inked layers and still be able to stamp on a flat surface. If you have created something that was inspired by my article I would totally love to see it! Leave a link to your project in the comments section (or even over on my blog). I'll pop on over and take a look.